Birds have been used as bioindicators of pollution, such as toxic metals. Levels of pollutants in eggs are especially interesting, as developing birds are more sensitive to detrimental effects of pollutants than adults. Only very few studies have monitored intraspecific, large-scale variation in metal pollution across a species' breeding range. We studied large-scale geographic variation in metal levels in the eggs of a small passerine, the pied flycatcher (Ficedula hypoleuca), sampled from 15 populations across Europe. We measured 10 eggshell elements (As, Cd, Cr, Cu, Ni, Pb, Zn, Se, Sr, and Ca) and several shell characteristics (mass, thickness, porosity, and color). We found significant variation among populations in eggshell metal levels for all metals except copper. 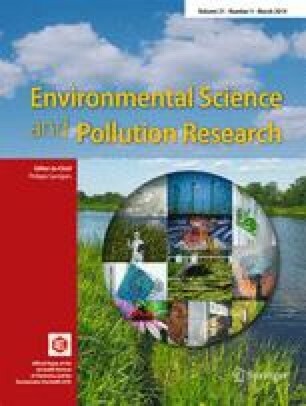 Eggshell lead, zinc, and chromium levels decreased from central Europe to the north, in line with the gradient in pollution levels over Europe, thus suggesting that eggshell can be used as an indicator of pollution levels. Eggshell lead levels were also correlated with soil lead levels and pH. Most of the metals were not correlated with eggshell characteristics, with the exception of shell mass, or with breeding success, which may suggest that birds can cope well with the current background exposure levels across Europe. This study was financially supported by Turku University Foundation, Finnish Cultural Foundation, Kone Foundation (grants to SR) and Emil Aaltonen Foundation (a grant to TL), and Academy of Finland (a grant to TE, project 265859). We thank all field assistants and especially Paul Ek at Åbo Akademi for conducting the eggshell metal analyses. EB was financed by Ural Branch of RAS (project 12-М-45-2072). Field work and analyses of eggshell structure and color were financed by project CGL2010-19233-C03-02 (Spanish Ministry of Science) to J. Moreno. We also thank Pablo Camarero for help in analyses of biliverdin pigment and Laura Tormo and Marta Furio for performing electron microscopy images. J. Morales is supported by a contract “Junta de Ampliación de Estudios” funded by the Spanish Research Council-CSIC and the European Social Fund. Data collection in Moscow region was financially supported by RFBR (Russia, grants to AK and AB). Data collection in Estonia was financially supported by the Estonian Ministry of Education and Science (target-financing project number 0180004s09) and the European Regional Development Fund (Center of Excellence FIBIR). MEV was supported by a NWO-VICI grant.